Lens speed means the maximum aperture diameter a particular lens can have. As the f-number is reverse, it becomes the minimum f-number of a photographic lens. As usually we mention f-number, e.g. 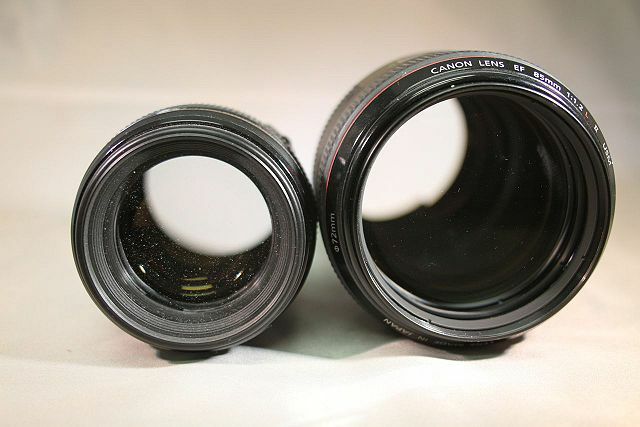 like 1/2 or f /2.8 (2.8 is the f-number and f is the focal length); manufactures mark the lens with this digit. This diameter is named as Lens Speed as the Light intensity of incident rays through a lens with the quotient of the maximum possible diameter of the entrance pupil when focal length of a lens is constant, becomes proportional to the shutter speed. In other words, higher the aperture will be, less exposure time will be required with a faster shutter speed, which obviously is a big advantage. To understand the Lens Speed or to take the advantages of a faster lens, one must know the basics of optics first. A smaller maximum aperture (that is a larger minimum f-number) is “slow” because it delivers less light intensity and requires a slower shutter speed. Since the image density / pixel density increases with the square of the relative aperture, the time required for exposure is inversely proportional to the square of the relative aperture. The maximum relative aperture is adjacent to the focal length. Normal values ? ?are between Æ’ / 1.4 and Æ’ / 5.6, occasionally you will also find Lens with Æ’ / 1.25, up to Æ’ / 0.35. The cost of a lens increases dramatically with reducing value of f-number. Lens speed is important in taking pictures in dim light or with long telephoto lenses, for controlling depth of field, especially in portrait photography, lens speed is a key variable in combination with other variables such as focal length and camera sensor format size. We usually calculate based on full frame DSLR, but in consumer or prosumer grade DSLR with APS-C sized sensor, one will need to choose the higher speed Lens as there will always be a crop factor. Another advantage is that, : the high luminosity or brightness of the image through viewfinder gives a big benefit and makes the focusing easier. This Article Has Been Shared 3433 Times! Cite this article as: Abhishek Ghosh, "Lens Speed : The Maximum Aperture of a Lens," in The Customize Windows, April 7, 2013, April 23, 2019, https://thecustomizewindows.com/2013/04/lens-speed-the-maximum-aperture-of-a-lens/.